We are rounding up all our creative gifts into one post to help give you some easy inspiration for that special Mom in your life. We have a little bit of something for everyone, with the goal of simple and straight from the heart…what Mom does not love that?!? 2. Check out how to make an Easy Personalized Breakfast. 3. These Home Crafted Serving Trays are perfect for us Moms wanting to give something unique to our own Moms, but also easy enough for Dads to make with the kiddos to impress their own Mama. I have made one or two and loved the way they turned out! 4. Make a Personal Notebook that will be a keepsake for years to come. 5. Grab your video camera or smart phone and make a All About Mom Video. This is one of my favorite gifts. Check it out to see a video and a list of questions that will get you started. 6. All kiddos love to help create, so make some Chocolate Madness that Mom is sure to enjoy! 7. Check out these Children Self Portraits and frame. 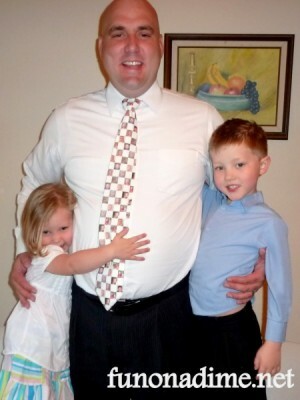 Super easy and definitely have a reward factor to them. 8. 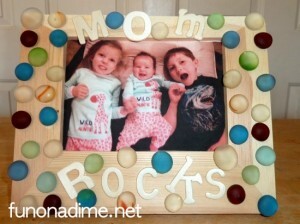 What mom does not like Hand and Foot Print Keepsakes made and decorated by their kiddos? 9. Flowers are always a good choice and one that last longer that Mom can actually use is even better with these Duct Tape Rose Pens. 10: Fancy Buns are always appreciated and this is a cheat way of getting a great looking dessert!